Maxymiser, a leader in web analytics, is headquartered in New York City. Founded in 2006, the company has grown to include corporate offices around the world. Serving nearly 10 billion experiences daily, their team consists of many highly trained digital experts who will work with your company so that it can achieve vertical growth. True to their name, Maxymiser helps your company maximize the effectiveness of your digital interactions by streamlining your online presence. Noted in the industry, even global advisories like Forrester Research have recognized Maxymiser as a leader in online testing. With cloud-based testing to quickly personalize your company’s possible solutions, new cross-channel possibilities open up to facilitate an even greater amount of collaboration and allow you to measure all of your most important outputs. With unique features like product recommendations and behavioral targeting, Maxymiser is the solution for the growth of your online workplace. With their special web analytics platform, Maxymiser can provide your company with important multivariate testing that removes the guess work from the digital analysis of different tasks. Although it is important to have good instincts in the business world, it is also important to provide those instincts with accurate data to make the most informed decisions possible. 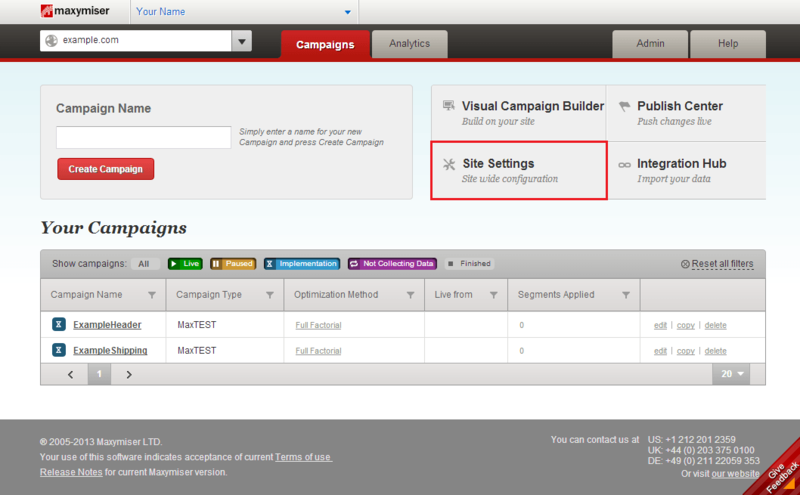 Multivariate Testing analyzes a company’s online traffic and tests different approaches to measure their effectiveness. This information tells you exactly how your customers use and interact with your website. When you have concrete data, your marketing decisions are easier to make: you’ll know exactly which procedures are working and which are not. Maxymiser delivers an accurate measurement of the force of your revenue. Built with the client in mind, Maxymiser provides an easy to use Visual Campaign Builder to guide you step-by-step through the process. Enhance your company’s effectiveness and improve profitability with expert analytics. Learn everything you need to know about Maxymiser. Our experts will reach out to you shortly.